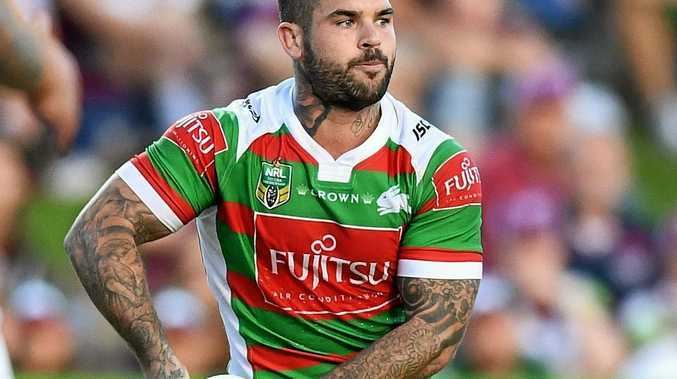 RATHER than shying away from facing the best player in the NRL, South Sydney's Adam Reynolds is relishing the prospect of taking on Johnathan Thurston. The Rabbitohs halfback has had only one success against the Cowboys superstar at club and Origin level but ahead of the clash between the two sides on Saturday, Reynolds says he is looking forward to the challenge. Reynolds said he was in awe of the player most regard as the world's best. "He's a great competitor," he said. "He's a guy that I look up to and I love sharing the field with him." Asked what makes the four-time Dally M great, Reynolds said: "He just competes on every play. "He just competes on every play, the ball's never dead to him. "He's always popping up in places halfbacks don't pop up in. "His involvement in the game is second to none. "There's obviously a lot to him other than competing but he's like no other. "It's good to play against him, he's a future Immortal," Reynolds added. "Anytime you take the field with those sort of players you try to make the most of it."